The work was published in 1908 in two versions, where one woman is depicted to the waist, and the second one shows her in full growth. The history of this painting tells of a certain woman whom a 26-year-old artist met on her way. He described her as a big lady about two meters tall with massive shoulders and a wise look. 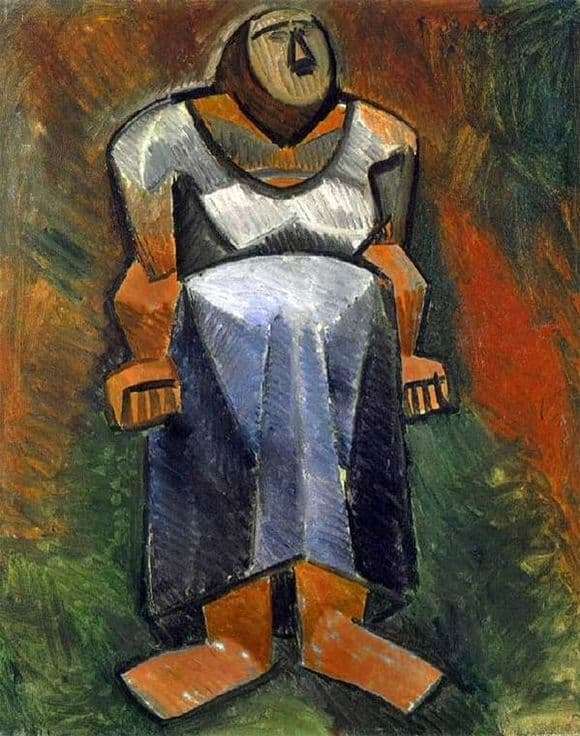 Picasso saw in this woman the personification of Mother Earth. This woman was the mistress of the house where the creator stayed in August 1908. It is to her devoted two paintings “Farmersha” and a number of drawings. At one time, the heroine came to France to work, where she happened to work as a cook. After she married a local shepherd and went into the household. After her husband’s death, she had to be tight: the woman cultivated the land, kept the house in order, and raised seven children. She didn’t have spelling and reading skills, and she didn’t speak French well. 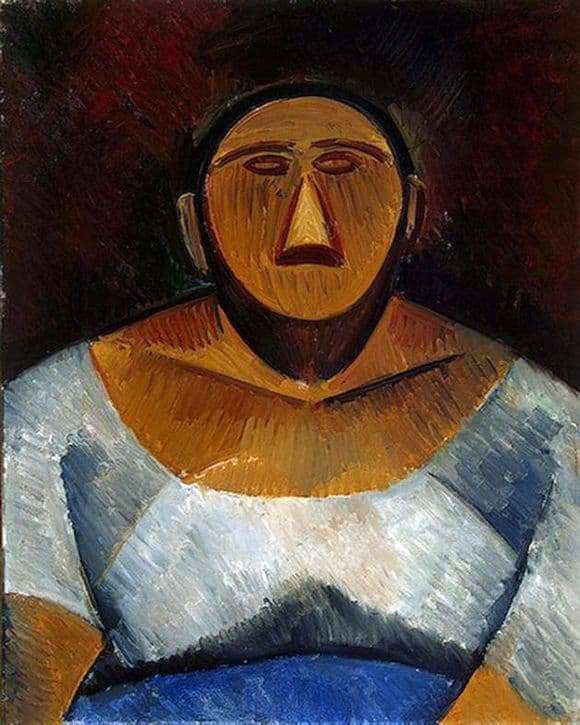 Pablo Picasso saw in this woman the primordial spiritual beauty, which remained untouched by the trend of culture. The young man called it a local landmark, which was Marie-Louise Pyutman. Amazingly, she never posed for the artist. He often watched his mother, tried to memorize the main features of her image, and then made small sketches. The resulting works have an impressive resemblance to the original, except that the paintings are made in a geometrical style characteristic of the artist. In the preserved photograph of Madame Puetman, her massive neck and coarse shoulders are clearly visible, which became a symbol of the work of Farmer. The writing of works lay on the artist’s fascination with archaic art, which at first glance resembles African motifs. To date, both paintings settled in the Petersburg Hermitage.